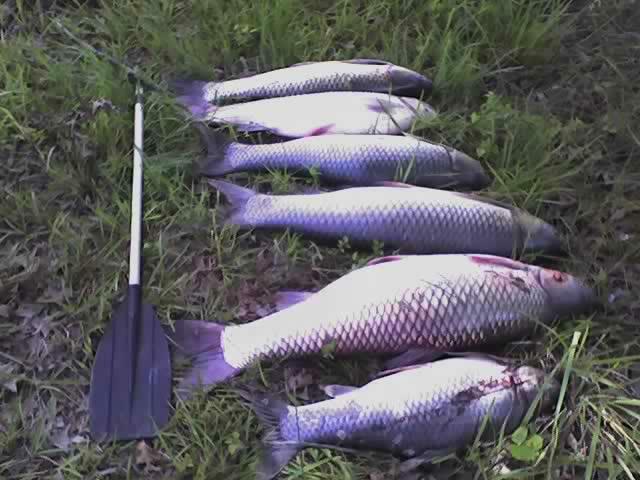 Grass carp eat feed intended for forage and sport fish and occasionally stir up sediment in ponds, which limits plankton production and is visually unappealing. These largemouth bass were clearly overpopulated. 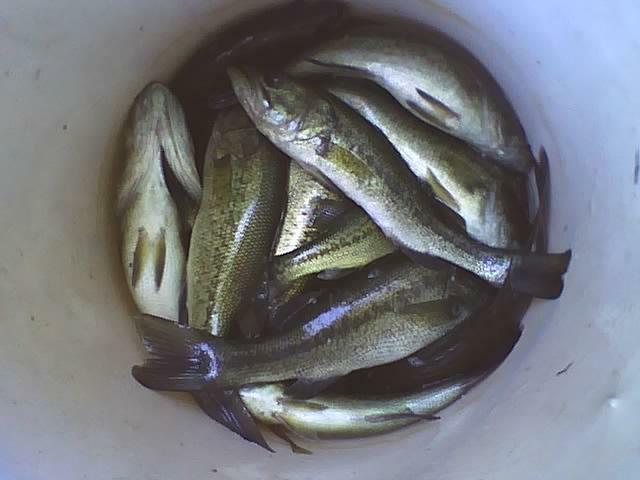 Problems with sport fish populations often occur because there are too many of the desired fish, or because of competition with undesirable species. Depending on the situation, we can remove fish from a water body through electrofishing or rotenone. Electrofishing—Sometimes meeting management goals involves removing a certain size or species of fish. Electrofishing can often be an effective way to selectively remove these fish. Regular removal may be necessary to maintain populations at acceptable levels. Although completely eradicating an undesirable species through electrofishing is usually difficult or impossible, populations can often be controlled in smaller water bodies so objectives can be met. Rotenone—Fish populations in some water bodies are so out of balance that it’s best to start over. Rotenone is a chemical—derived from plants—that interferes with a fish’s ability to breathe. Although rotenone is a restricted-use pesticide, it’s harmless to most terrestrial animals and humans when applied properly. We will accurately measure the volume of a lake or pond so the proper amount of rotenone is used. Applying the correct amount of rotenone is not only necessary for a thorough kill, but also prevents wasting money (and violating the label) on product you don’t need. PFS has equipment capable of distributing rotenone evenly throughout the lake, ensuring a complete kill.